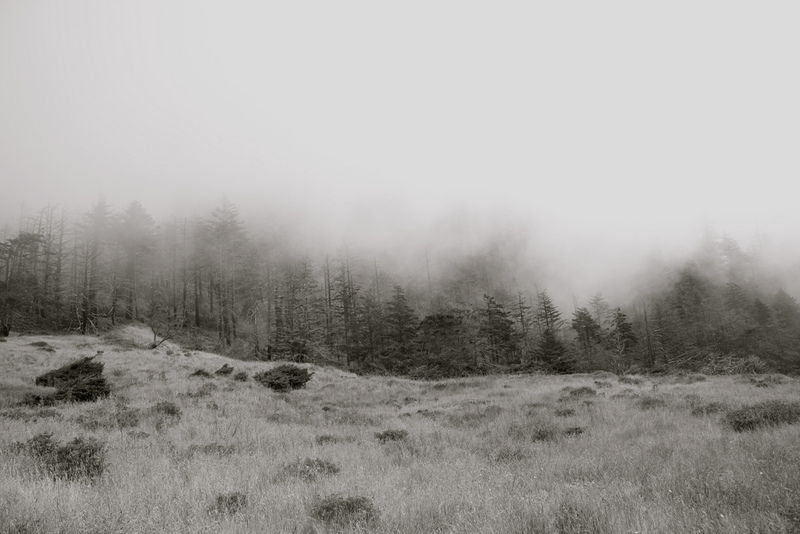 It's been two years since I took these photos along California's Lost Coast, but this June I'm going back. I haven't decided whether or not to take a camera on this next trip. It's such a weight burden to add to an already heavy backpack and I'd run the risk of breaking something along the way. Last time I lost a lens cap and had to fashion a new cover out of a sock and rubber band. It worried me the whole hike. Maybe I'll take a little film camera just for fun, something durable and more lightweight than my 7D. 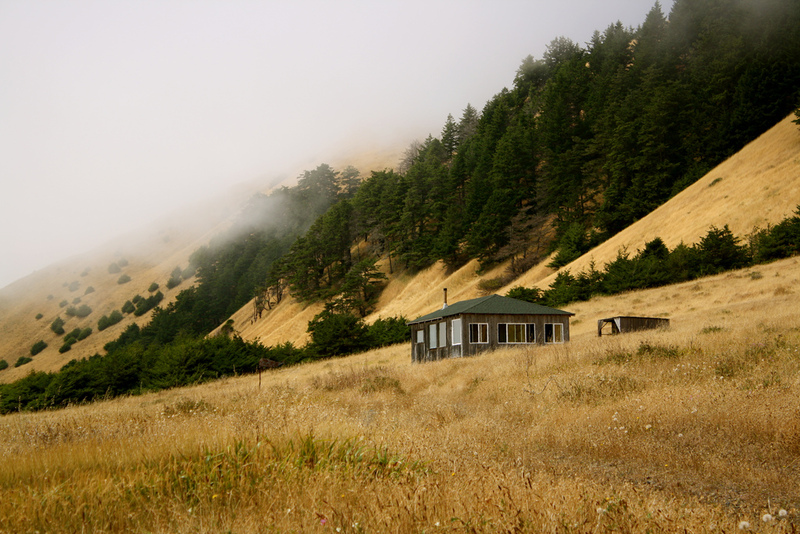 The entire twenty four mile trail from the Mattole River trailhead to the small town of Shelter Cove runs right along the beach, which varies from wide sandy stretches backed by open meadows, to rocky shorelines in the shadow of 700 foot cliffs. We took our time and did the hike in four days. That allowed us ample opportunity to take hikes inland and explore the backcountry our away from the beach. We felt like conquistadores setting out into a new world. I can't wait to do it again in a month. A few miles down the coast from the Mattole River we encountered the Punta Gorda Lighthouse. 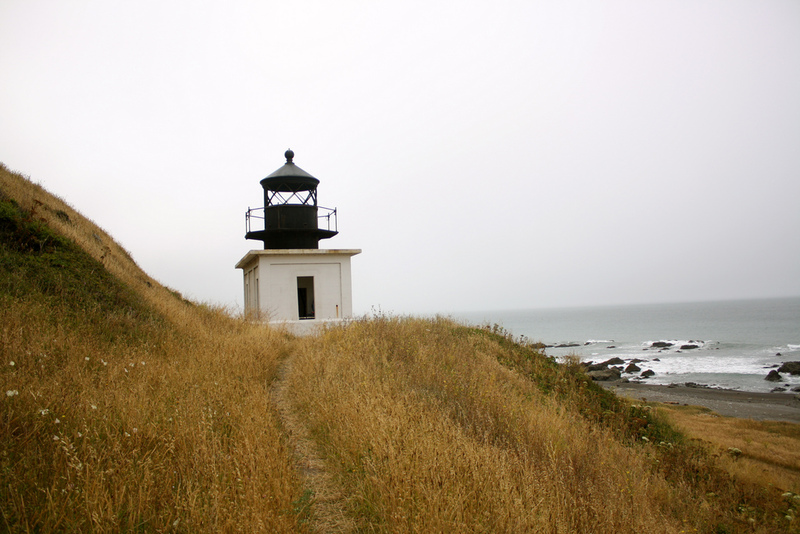 Long abandoned, this lighthouse was (and still is) one of the most remote along the Pacific Coast. When it was in operation in the early 20th century no proper road connected the lighthouse to the cities and highways of inland California. Building materials for the lighthouse and its appendages (several outbuildings and two Victorian style homes for the light keeper's family) had to be highlined to the shore on cables that ran from the beach out to a large schooner anchored offshore. Its remote location made it one of the least desirable assignments for a light keeper and many referred to it as the "Alcatraz of Lighthouses". Today only the shell of the lighthouse still stands as the other buildings were razed after the lighthouse was decommissioned. During the summer months it's almost always foggy along the trail, though with little wind it doesn't get too cold. Occasionally the sun would burn through in the afternoon but only for a few hours. I didn't mind the fog. It gave life to the landscape, made it mysterious and ever-changing. 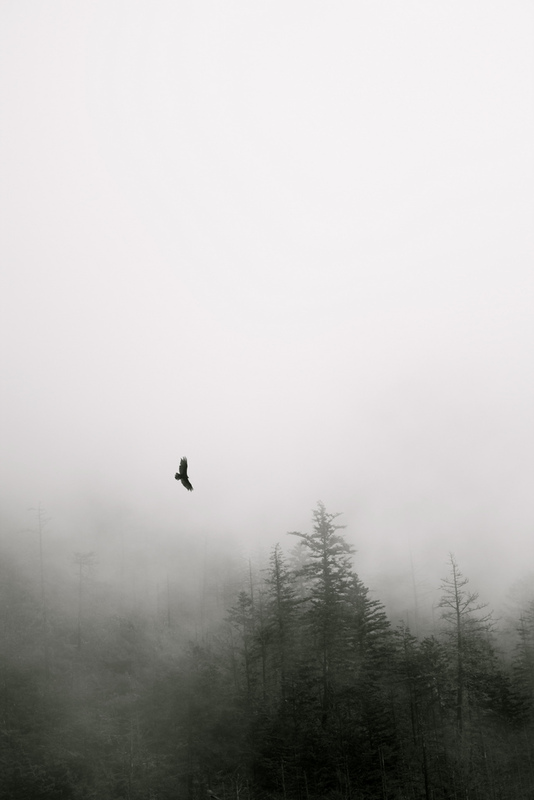 I felt like I could take a hundred photographs at the same spot, and as the fog obscured and revealed little bits of landscape before me, no two photos would be alike. Almost all the land along the trail is part of the King Range National Conservation Area, which means it's all government owned. But there are a few patches of private land, most of which have been owned by the same families for generations--long before the government designated it as their own. Most of these plots have simple cabins on them that the owners use as summer homes or weekend getaways. In the whole twenty-four mile stretch of the trail there are maybe three or four cabins, all of which are reachable only by primitive jeep trail, boat, helicopter or small plane. The tide pools are plentiful along the trail. 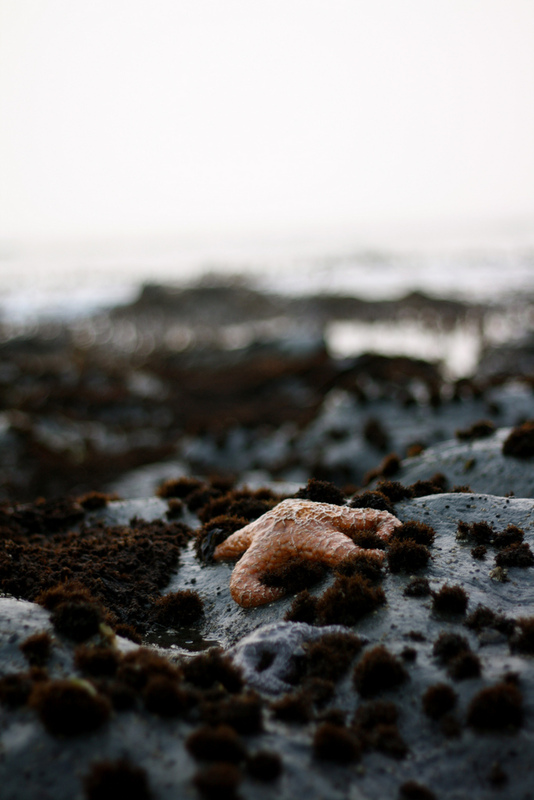 Starfish, Sea Urchins, Mussels, Starburst Anemone, Sea Snails--they cover the exposed rocks in great clusters at low tide. 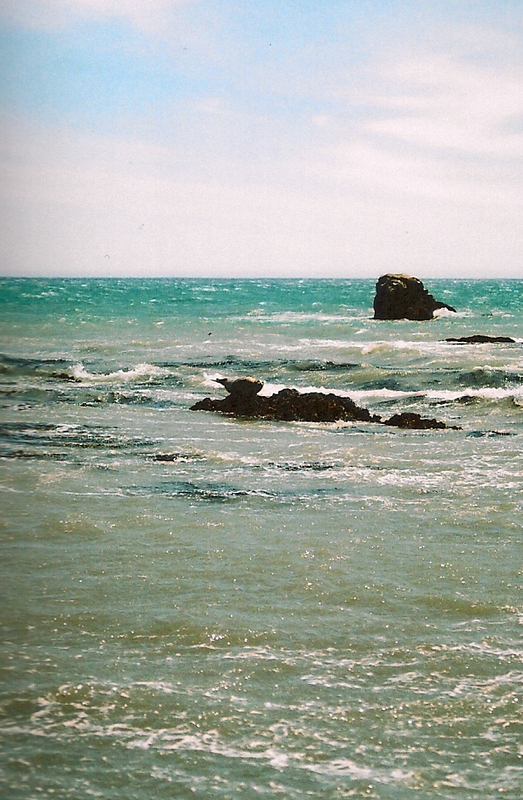 The entire coastline is teeming with life. We saw Sea Lions and seals basking on the rocks offshore and one morning came across bear tracks in the sand just outside our campsite. Luckily he didn't actually come into camp, though we had all our food closed up in bear proof containers, which are required for all hikers. The whole area is unbelievably pristine. 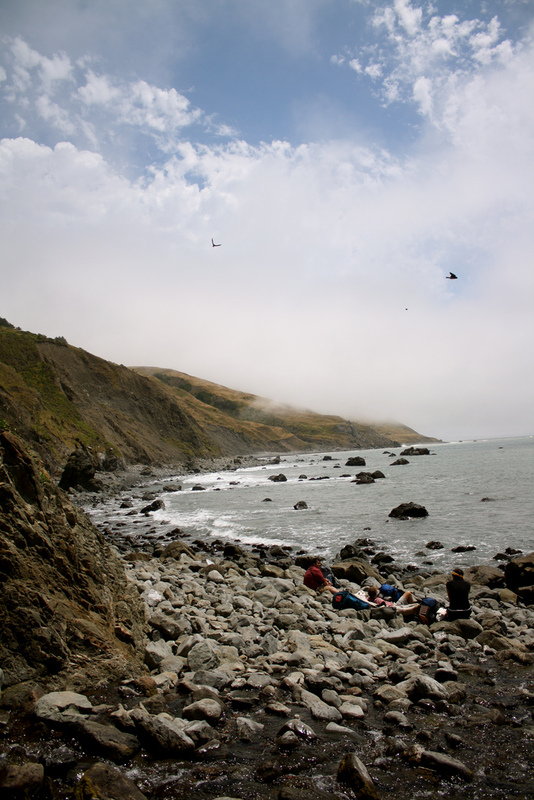 When engineers set out to build California's coastal Highway 1, they had no choice but to cut inland at the Lost Coast. The terrain was too erratic, the cliffs too steep, the canyons too dramatic to reasonably provide a path for a highway. So they left it alone, and thanks to that the Lost Coast escaped the population boom, the tourism, and the general overcrowding that has been eating away at California's wild lands for the last 150 years.